We were drawing, taping, and stickering paper tubes today at arts-based preschool. 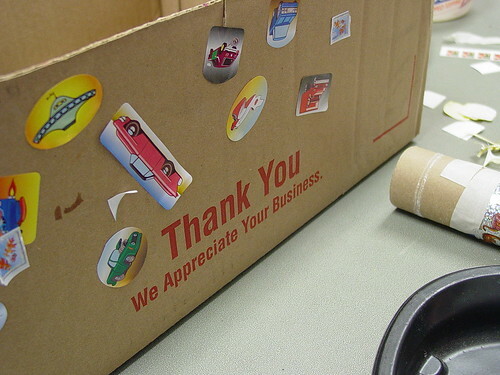 One little boy said this box needed decorating, so he stickered the box. hmmmm.... What can we "decorate", add color to, add beauty to, add interest to in our every day surroundings?